I thought that after my test of 5 luxmeters in april 2018 I was done with luxmeter testing (not exactly a cheap pastime if you want to test anything else but very low-end meters), but then early this summer Enderman came with an unusual proposal: he would buy the Tasi 632A luxmeter that I tested in april this year off me for the new-price, so then for the money I could buy a couple of other new luxmeters that he found interesting, to be tested by me. In the end both he and I spent even more money than that and I ended up with 4 new luxmeters to test, among which a rather pricy Extech meter. Thanks Enderman for supporting the advancement of BLF-knowledge! *The Extech LT45 meter I had high expectations of because Extech meters are used by many flashoholics who seem to take their hobby serious. 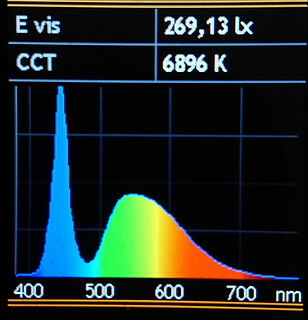 I bought one without NIST-calibration certificate, because I was more interested in the complete spectrum response than a piece of paper proving a calibration against a 2700K tungsten lamp (I'm sure that the factory calibration of a manufacturer like Extech will be done well enough). 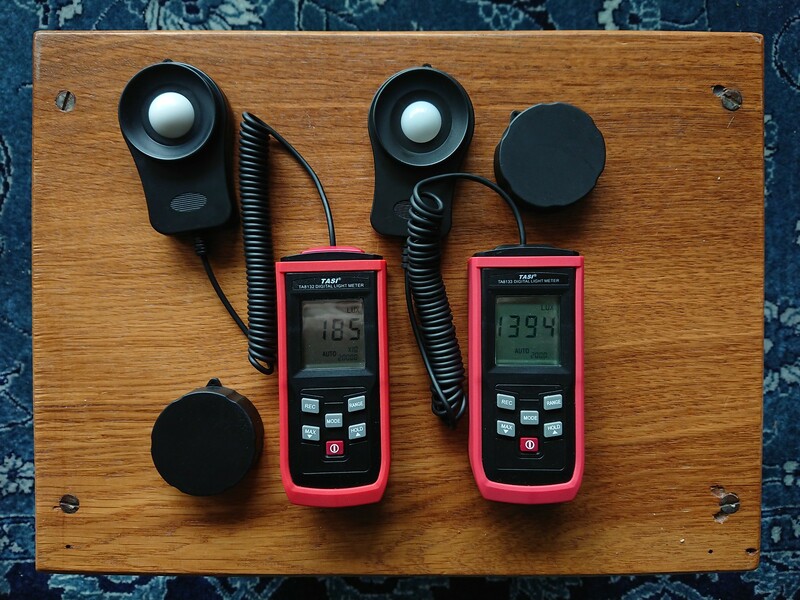 A useful feature of the LT45 version is that it has the option to enter your own calibration, which comes in handy in integrating sphere use, to incorporate the sphere multiplier directly into the luxmeter read-out. *The Tasi TA8132 meter is one of the newer models by Tasi, since the expensive Tasi 625A tested quite well in april it is interesting to know how their very cheap models behave. *The Uni-T UT382 meter is the other way around, the ultra-cheap UT383 that I tested in april did not do bad at all considering the price, how does this 44 dollar model with USB data transfer do? *The SmartSensor meter seemed the cheapest of the cheapest to me, does its performance surpise? 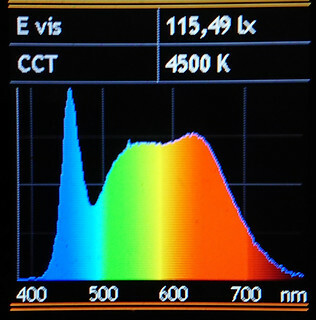 *despite the substantial purchase price the Extech LT45 luxmeter is good value for your money, you can express the difference with the Mobilux meter over the numbers obtained for these measured light sources as a 4.5% calibration difference and 1,35% variation in spectral sensitivity. 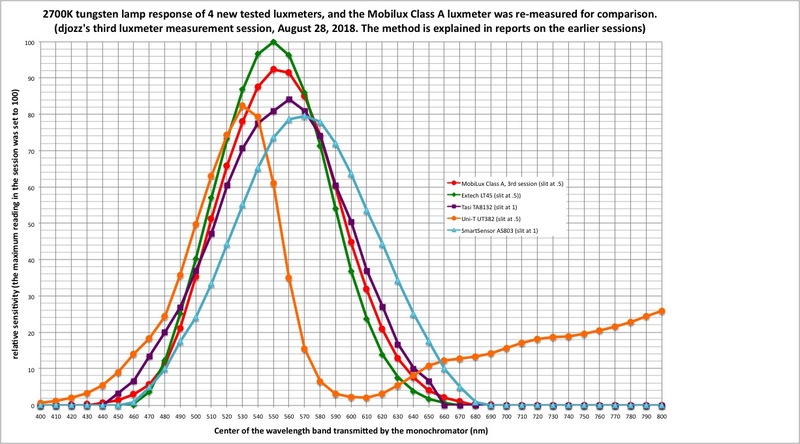 This is closer than how the classB luxmeter read-out of the spectrometer compares to the Mobilux classA (with 5.7% calibration difference and 2,5% spectral variation). *the surprising performer is the Tasi meter, for 18 dollar I got a luxmeter with on average 2.1% calibration difference and 6.3% spectral variation, compared to the Mobilux meter. I calculated the corresponding numbers for the LX1330B in my april test: 3.2% calibration difference, 8.3% spectral variation. So I take this Tasi meter any day over the LX1330B. 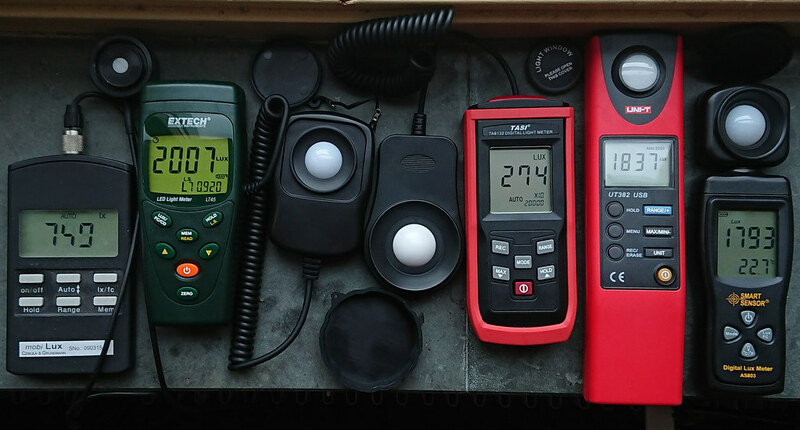 But beware!, you may be in for a disappointment, in post #2 of this thread I describe another Tasi meter from the same series that looks the same but is built much much cheaper and although I have not measured it, it probably has much worse performance, you will not know what you buy! *the surprising looser is the 44 dollar Uni-T UT382 luxmeter, measurements are all over the place, this is a very bad luxmeter. 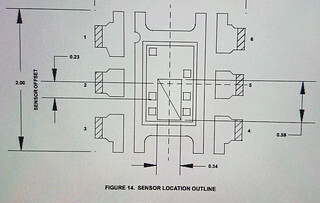 *the SmartSensor is cheap and bad. 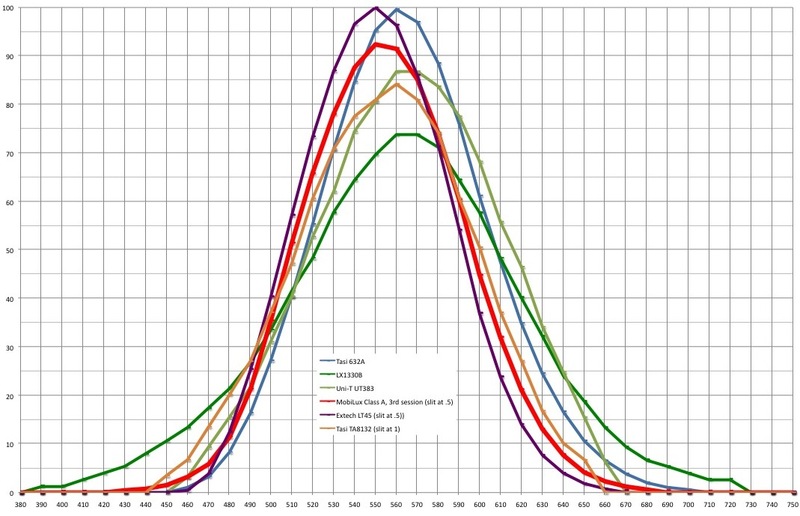 To get a grasp on why the luxmeters do not just show a calibration difference but also read so different for different light sources, just as in the april 2018 test for these new luxmeters I recorded the spectral response to a 2700K tungsten light source. 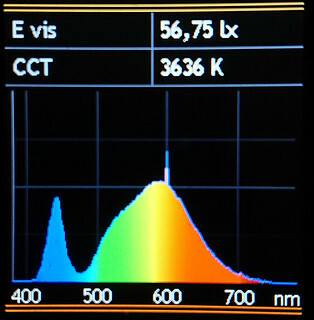 This should give an idea of the differences in spectral response of the various luxmeters and may explain why they read so different for light sources with different spectra. For a description of the method, using an antique but strong-going Zeiss prism-monochromator, see the link above to the sept.2014 test. First I show some validation data of the method, just because I want to show that my home-made contraptions actually do work. This is assuming that the Czibula&Grundmann test data are trustworthy, which I have no doubts of. You can see that they managed to make a detector/optical filter combination that comes extremely close to the V-lambda response. 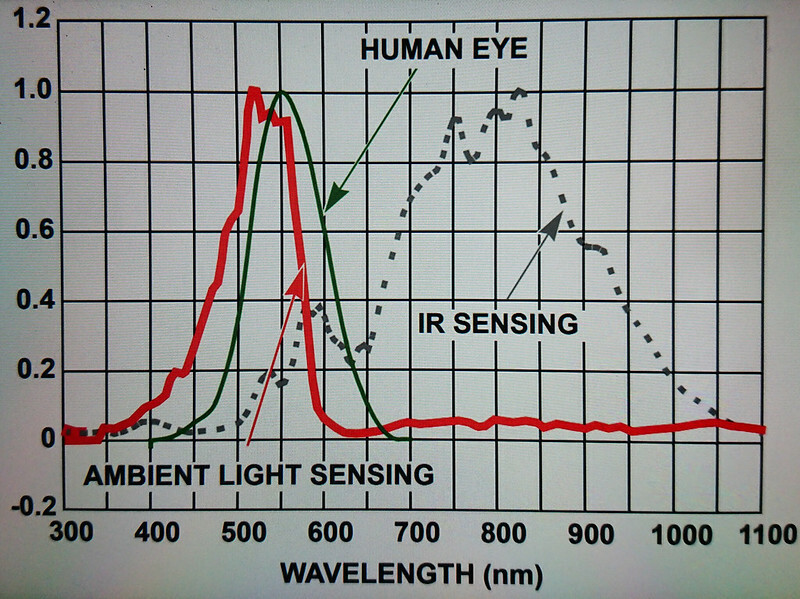 *the Uni-T UT382 luxmeter and the Smartsensor AS803 luxmeter both deviate immensely from the reference luxmeter for some light sources in the table, and for different reasons as you can see in the graph: the SmartSensor's spectral sensitivity shows a large shift, on average 20nm, to the right compared to the Mobilux, and the Uni-T's spectral sensitivity is just completely weird and nothing like a V-lambda response. 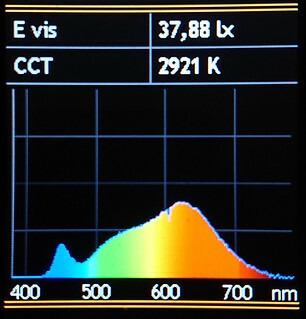 *the extech LT45 luxmeter has a tungsten lamp response that matches the Mobilux response pretty well, shift and tilt the curve just a bit and you are there, and the Tasi TA8132 meter does not bad either, it overreads blue and red somewhat. 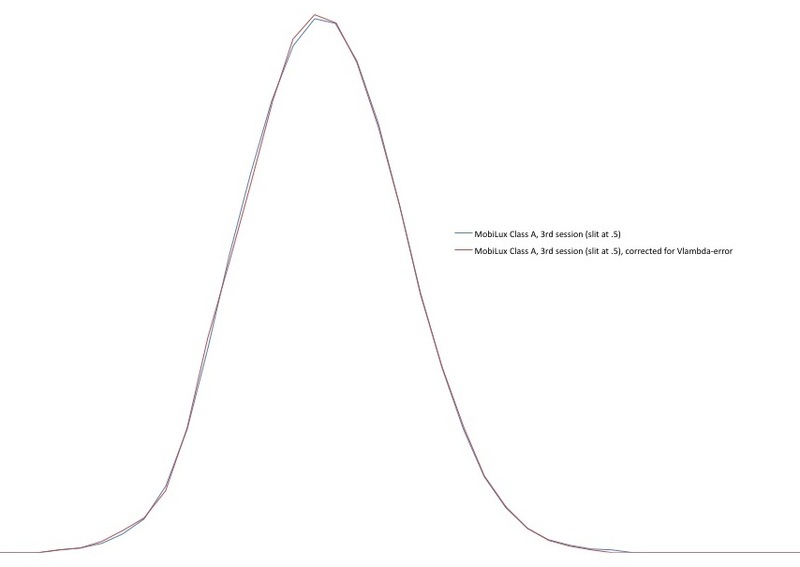 The LX1330B has the worst curve, followed by the very cheap Uni-T UT383 (that in itself does way better than the weird newly tested Uni-T UT382 which I left out in this graph), the two Tasi-meters seem to perform similar, their curves deviate differently from the Mobilux curve but the amount of difference seems comparable. 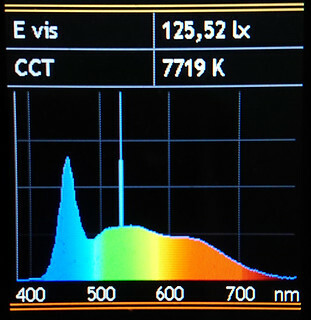 *I trust the Extech LT45 meter to be pretty good, the tungsten lamp response curve makes me think that also other white light sources would be measured pretty accurately. *The Uni-T UT382 completely fails to perform, do not buy. I may open it up at some point to see if it has a shifted optical filter so that light can enter the sensor bypassing the filter. in that case the quality control has failed. 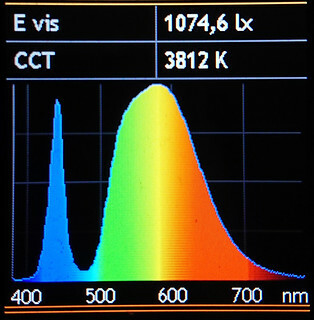 *The SmartSensor AS803 is cheap and performs bad, even worse than the LX1330B. Even for the price it is a bad buy. 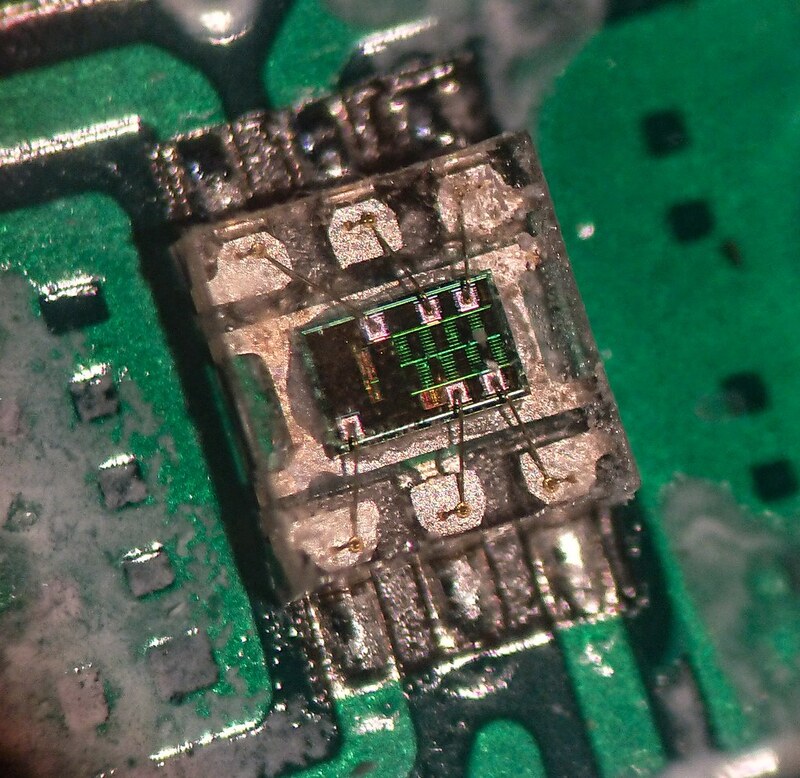 So I was very happy how the Tasi TA8132 of the test above performed, so I ordered the 'upgrade' TA8133 on Aliexpress: only 2 dollar more and in the lowest range it has a digit more in the read-out, it shows a tenth of a lux instead of just lux. I did not expect a more accurate sensor but I hoped for a stable enough read-out at the lowest range that the extra digit was meaningful. This is all unimportant to me but it shows that they completely re-invented this luxmeter, nothing went untouched. Sorry, reversed now, old TA8132 on the right now, new TA8133 on the left. 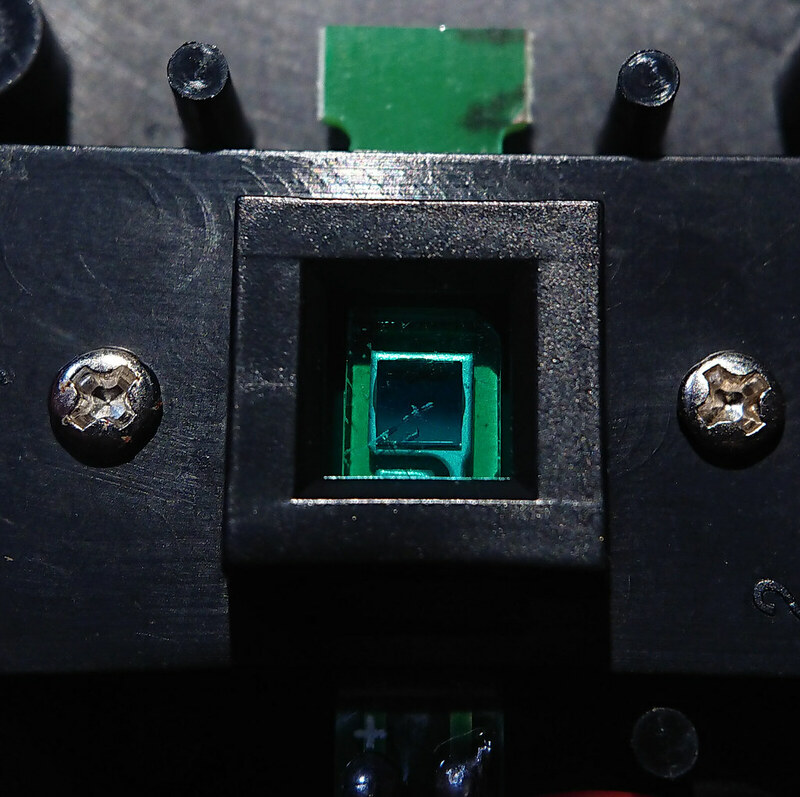 *I received the new type TA8133 with something rattling inside the sensor, it appeared to be the optical filter that lived loose in the cavity . It was made press-fit into holes in the circuit board but to the wrongs specs: it had no grip at all when I pressed it back in place, I had to use cellotape to make it stay. After that the reading was completely off, I guess they calibrated it already without filter. 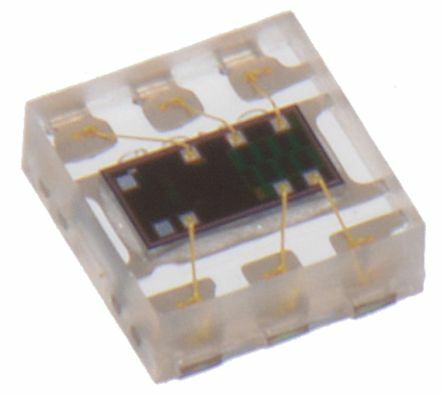 The old type TA8132 has a screwed-down optical filter that will not go anywhere. 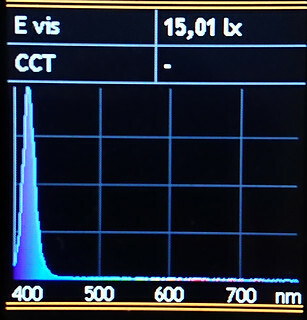 *the optical filter window of the new type is small and the sensor is well off-center, I fear for the cosinus-response of this luxmeter. The old type has a large window that will not influence the optical path to the diffusor. 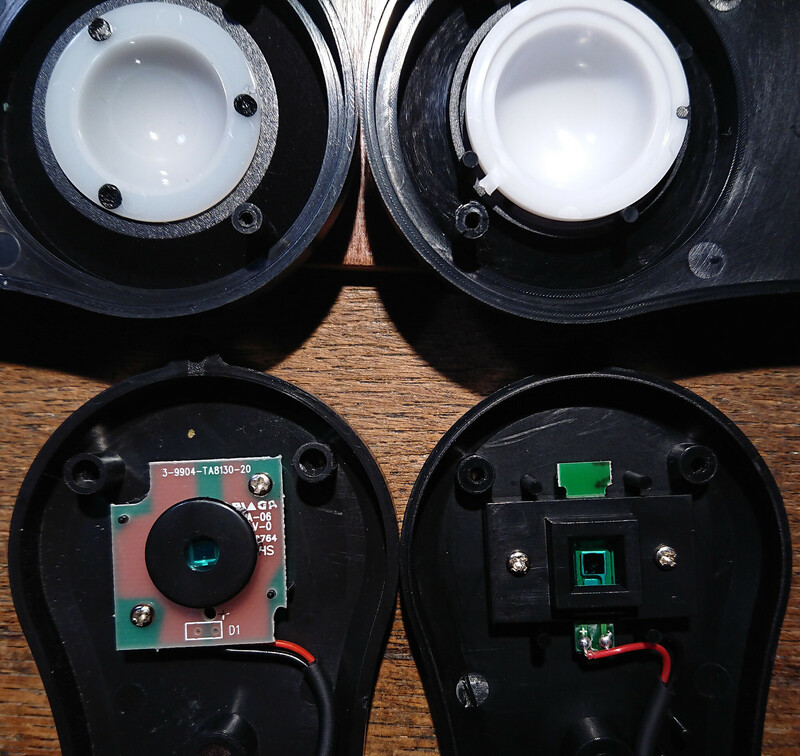 *the sensors themselves are not the same type, they are of a different make (I did not remove the optical filter of the tested TA8132 because I fear for altering the calibration, this luxmeter will still be used). Because I'm not sane and despite knowing better, I ordered one more TA8132 and one more TA8133 luxmeter, from different sources to see if these differences are consistent. They probably will dropship from the same source after all but who knows. China is a weird country.. Thank you so much for all the knowledge you share here ! I have access to a Konica-Minolta T-10A at my workplace and borrowed it once to do some quick comparison between whatever flashlight i had at hand but i would like to have something at home. I am not the "official" user for the T-10A and prefer not to over-work (not sure if this one is correct english) the permission i have for using it. 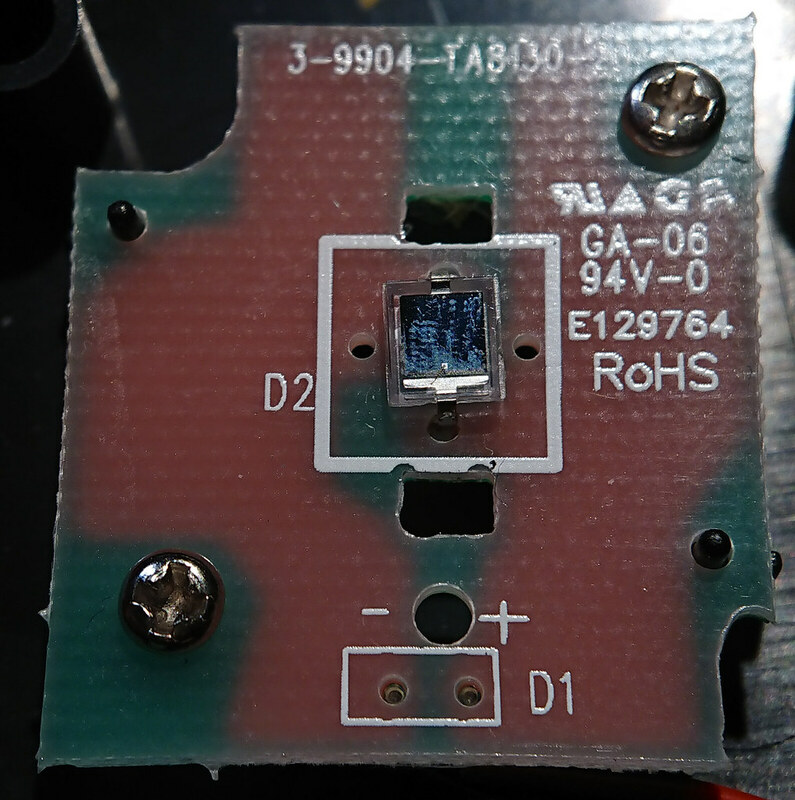 The TA8133 is exactly the luxmeter that I bought a few months later than the TA8132 from the test, and it came with a nasty surprise that I will show in the second post: apparently Tasi cheaped out and completely overhauled the TA813x series with by the looks of it inferior parts. If it is the TA8133 that is made cheaper than the TA8132, or that they swapped the whole series by cheaper versions, I don’t know. Tasi has made some good products and now they are killing that little bit of reputation that they had (with me at least). Thnx for the test Djozz. Surprised to see the uni-t perform so bad. The cheaper 383 is performing better. That TA8132 looks excellent, maybe even better than the 632A? Looking forward to see post #2.
post #2 finished, do you still want to gamble on Tasi meters? Interesting, will have to see how it performs I guess. From the specs it should be like one percent more accurate, maybe they decided to cut down manufacturing cost elsewhere or maybe it is a fake? Looking at everything, including the packaging, I think these are both from the same manufacturer, so not fake but they cloned it themselves. and indeed there is a possibility that the performance has not suffered (I doubt that though) but I could not test that because of the loose filter. If the new one (just ordered it, will receive in a few weeks) has no defects this time, I can do a quick performance test measuring some flashlights comparing it to the “old type”. Yeah, a comparison to the 32 should be enough to see if it is close or not. Looks like someone in yet another emerging enterprise thought: hey, let’s bring in a CFO. And he/she introduced extra manufacturing stages: involving beancounting and cutting corners. So after a while they succeeded in saving 20% of the cost (and 80% of their quality and reputation). A bit like the farmer who complained: I spent a lot of time learning my cows how to live on air only. Now the ungrateful animals all have died on me, leaving me in a fine mess. It looks like the TA8132 may have been discontinued. I took a chance and bought a boxed one, hoping all the existing stock is good. Yeah, replaced the 8132 with the 33 and the 30 with the 31. Now there’s also an 8134 which I didn’t remember there being last year. We will have to see how the crappier quality 33 compares to the 32. Reading djozz’s second post leaves me with little hope of the 8133 being a decent meter. Maybe a first batch had some bad components and the build house didn’t know or care enough to stop in time, its possible the next batch is better. That still makes buying it a lottery though. There’s lots of 8132’s still around on Aliexpress, its probably the safer bet. The one I ordered is due in forty Ali days, probably won’t see it till the end of November. I don’t know where you are located but usually aliexpress is much faster than that, on average two weeks to my home. Wow. That’s fast. My average is more like a month. Maybe even more. My and most reader’s theory was that when developing the TA-8133 after they made the TA-8132 first, they did the downgrading too so all TA-8133 must be bad. And it works well too, the calibration seems pretty close (looks even like within 0.5% for the warm high CRI light in the video (the Mobilux reads 3.4% low)) and reads right down to zero in a nice and stable way. They are both 8133!! The left one is the latest one that I got in the mail today, the right one is the one dissected in the second post. Btw, I watched a few youtube video’s about luxmeters (among which a nice one from Big Clive), some show a teardown of the sensor unit and that “good type” sensor as shown in post#2 has been around for a while and can be found in almost all types of cheap Tasi meters, and also other brands. It is luxmeter investigation night! I opened the Uni-T UT382, the one with the terrible spectral response, to see if some optical filter was shifted or what, but it was all different inside: (first let’s ignore the dirt on and around the sensor ) Uni-T went a different direction and decided not to use a separate silicon sensor plus optical filter, but use an all-in-one ambient light sensor, similar to what you find in your phone. No separate optical filter needed. 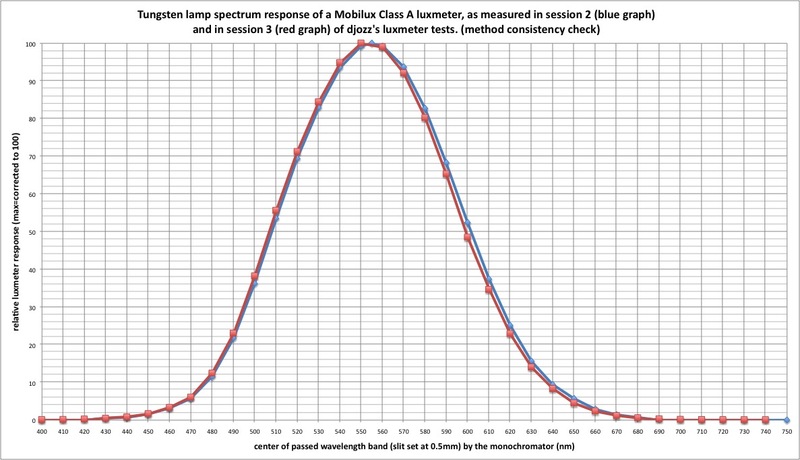 And that explains the very low performance, ambient light sensors usually have terrible spectral responses (which is why a luxmeter app does not stand a chance changing your phone into a half decent luxmeter). Oooh I see! My bad I got confused, thought you were comparing the new 8133 to the 8132 we knew was good. So maybe that crappy 8133 you got was just a really old production version or something, some retailers have stock that is many years old. I would like to assume that they improved the production quality rather than made it worse. So that means there’s a chance of getting an old crappy unit of both 8133 or 8132 depending on where you buy from. So Uni-T UT382 is bad despite price? So I don’t know weather is possible that lux meter craps out when processing LUX(more digits) versus FC (less digits). I don’t know how and explain why but my Unit-T UT383 is simply better when I am doing measurements of performing lights(250 kcd + lights) with FC readout. Will you also test the TA8134? 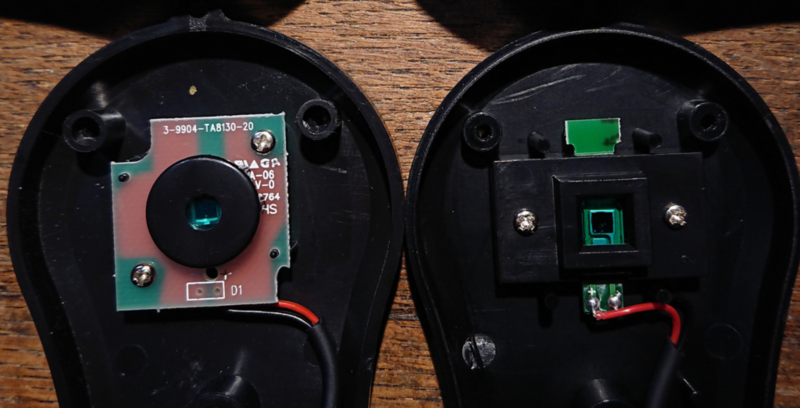 Maybe you could make a picture from both TA8133 side by side with open sensor So its easy to see that they are not the same internaly. Would be interesting to contact Tasi and get a answere if the crappy one is the new or old version. If they answere at all! But the picture would help to bridge the language barrier. I’m not really on an active mission improving the manufacturers. If my information gets so widespread (not likely, even here these luxmeter posts do not get many reads ) that customers and manufacturers take notice and make better stuff, I will be very happy, but I’m not going to contact them about them. Atm, I’m not planning more luxmeter tests, that said I do not expect extreme different performance of the TA8134, mostly a different housing I guess. Thanks for this valuable info! The Extech looks good! I only wanted to ask them what i get when i order from them. Is the crappy one the old version and they upgraded to the better design. Or have they rebuild the good ones and now are selling a version nowbody wants. I am not trying to change/help/work with them. I only would like to know if its woth to spend my money. So i would ask. But language is a problem contacting Chinese companys. A picture often says more than 1000 words. Here you are showing the TA8132/33. Is it the same with the crappy TA8133 and the good one? If yes this picture would be good enough! 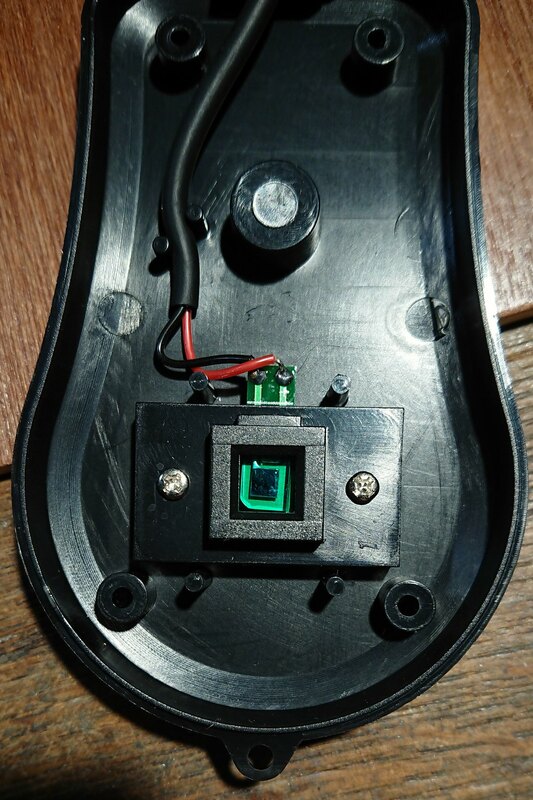 I just checked the sensor of my latest (“good”) 8133 and it looks almost like the “good” 8132, but the rim of the sensor is different, so yet a different version, although in details. Would this different sensor be related to the better resolution at low light? Nah, that would sound like reason, they probably use whatever component is available at the time of production, sometimes this one, sometimes another. Thanks djozz! Mail is out and i will post the result when/if i get a answere!